Disgraced governor Rod Blagojevich's latest job is over. Up next, his corruption trial, smack in the middle of an election. How much will the corruption proceedings taint the Governor's race? 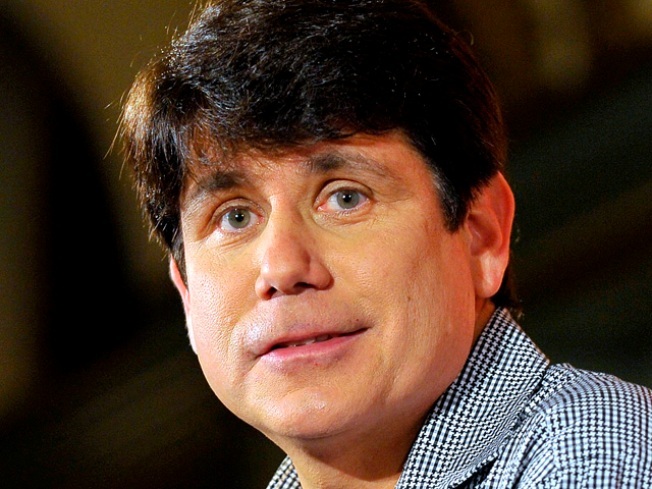 Rod Blagojevich was fired again. Blago's run on "Celebrity Apprentice" came to an end in the board room Sunday with the famed words from Donald Trump. Team Tenacity and its project manager, Selita Ebanks, beat Blago. She's a Victoria's Secret model. He's the former governor of the state of Illinois. The decision was easy for Trump. It would have been easy by a check out person at a big box store. To be honest, Blago survived longer than he should have -- he would have been sent home last week if Darryl Strawberry hadn't fired himself. Team Rocksolid decided to make Rod the project manager this week -- a put-up-or-shut-up moment for Blago after weeks of mediocrity. "We're putting you on the line," said teammate Michael Johnson, claiming the former governor had not stepped up in the first few challenges. "Rod didn't contribute as much anyone else did." The assignment was to design a 3-D live action Harry Potter castle to promote Universal Orlando’s “Wizarding World of Harry Potter.” In a first for the show, the project managers were separated from their teams. And it all unraveled after that. Selita worked on her plan on the flight to and from Florida. Rod slept. "I don't know how to text," Blago admitted. "It's not something I ever had to do when I was governor." But he can use a telephone. Federal investigators discovered that when they were recording conversations of Blagojevich for a federal indictment alleging he tried to sell President Obama's senate seat to the highest bidder. Blago's teammates didn't have much respect for him. And he didn't do much to earn it. He spent most of the task giving assignments to everyone else on his team. Bret Michaels do this. Bill Goldberg do that. Talk a lot. Do little. "Rod didn't give a lot of direction," Bill Goldberg said. "He delegated without giving a vision of what he wanted." "He was a poor project manager, " chef Curtis Stone said. "The plan for the presentation was we haven't got a (bleepin') plan." Now that's language Blago can understand. In the end, Rocksolid's presentation was entertaining if not as organized or accurate as team Tenacity, according to the child judges who were Harry Potter fans. But it was overpowered by a lot of smoke that ended up costing them the task and the former governor his job. That's so Blagojevich. Getting fired (again) gives Blago time to let the smoke clear before his corruption trial this summer.